Sunchowder’s Emporia is a huge addiction of mine. Those pretty little jars filled with gooey delights are something I look forward to buying every trip to the Winter Park, FL Farmer’s Market. 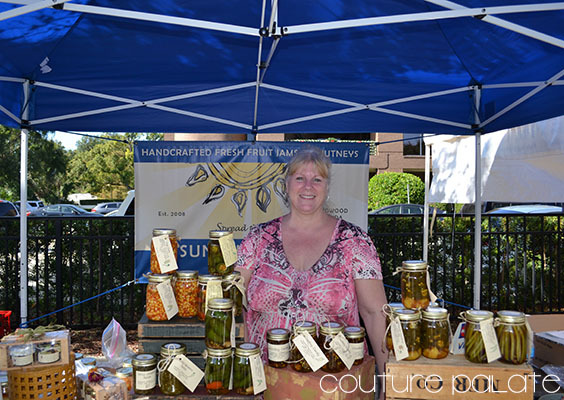 Wendy Read has been making her jams full time-time since 2008 out of Longwood, Florida. She is the creator of not only these magnificent jams, but spreads, chutneys and pickles too. She uses only fresh, quality ingredients that she obtains from local growers whenever possible. During off-peak growing seasons, she features Driscolls berries. All of her products are made in small batches and at no time will she use pectin, preservatives or corn syrup. It is a time-consuming process that allows the fruit to soften overnight and bring out the delectable flavors of all the fruits, vegetables and berries. 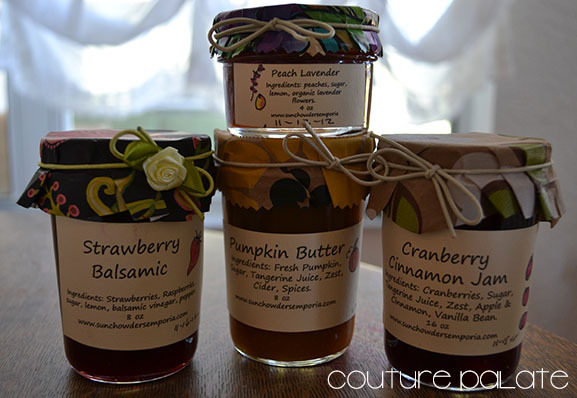 Some of my favorite products are the peach lavender jam, strawberry balsamic jam, pumpkin butter and cranberry cinnamon. The preserves have such powerful, delightful flavor combinations. I love to incorporate them on a cheese plate at a party or on a croissant for breakfast. They are so universal and can be used for any occasion. If you can’t make it to the local farmer’s market in Florida, Wendy has an online store where you can purchase her fabulous products. Oh and I almost forgot, if you love some hot treats you have to try the Cowboy Candy!